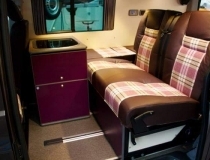 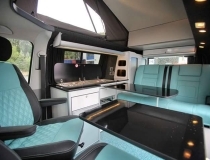 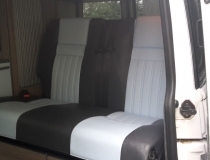 This is a recent order carried out on behalf of the Uberbus T5 conversion company. 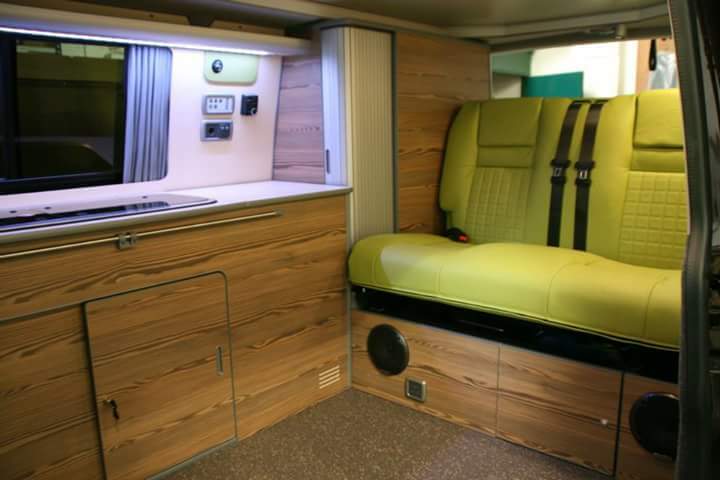 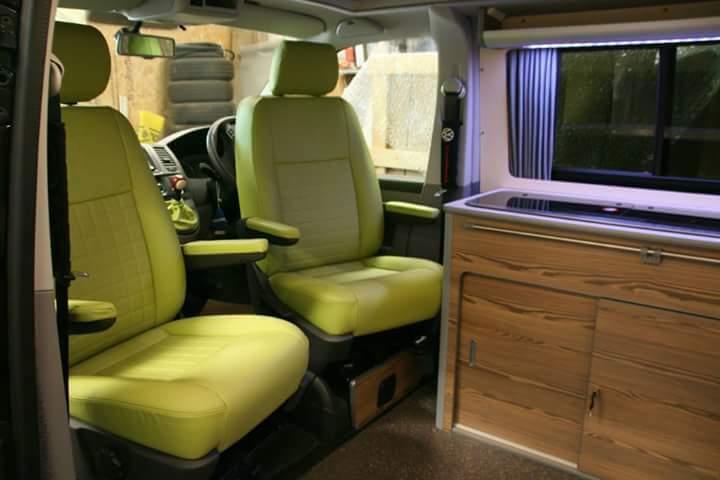 The front seats and the rear Scopema rib seat are upholstered in a lovely light green leather, the centre panel stitching is a little different to the norm, they are squared stitched. 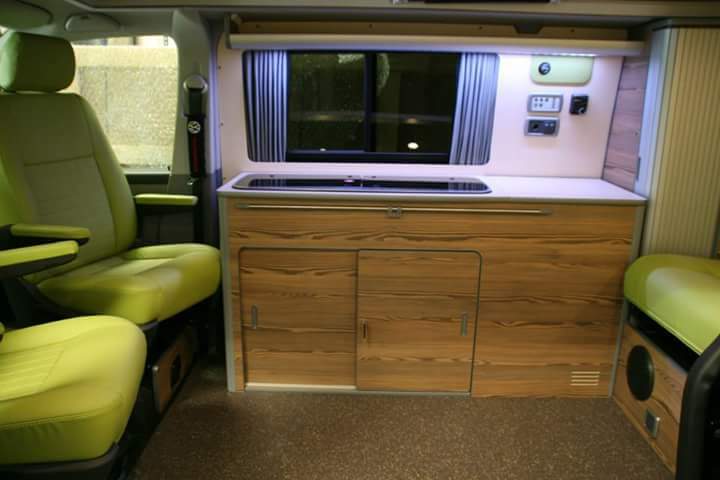 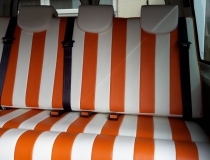 we think the colour choice by the customer compliment the rest of the van beautifully.